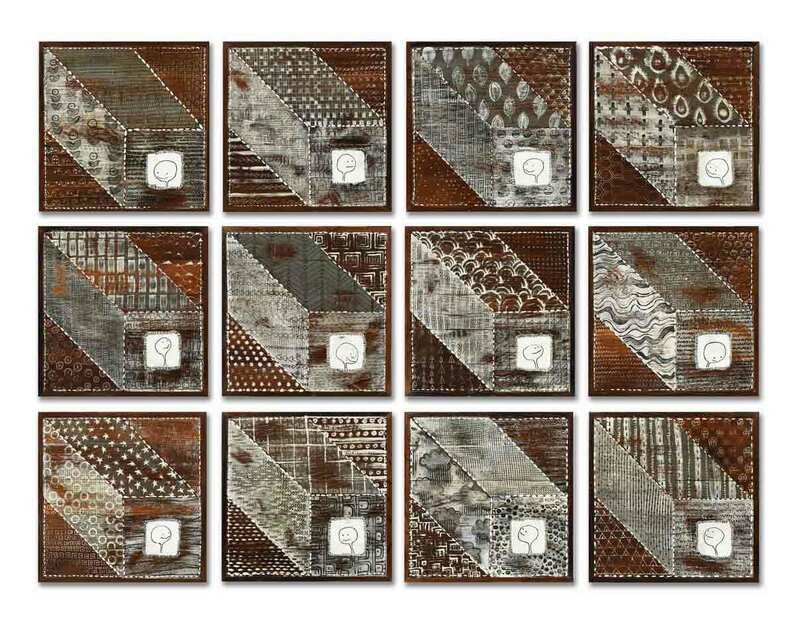 The Piecemakers Series explores my ongoing fascination with quilting and quilt patterns. 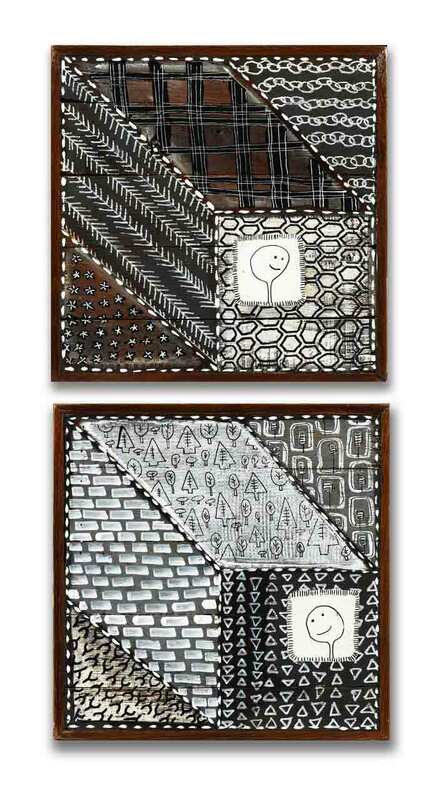 Here, each painting stands alone as an individual quilt block, which is then “stitched” together with other paintings of the same block pattern. The process of creating these pieces is time intensive, requiring precision and patience, much like the process of creating a real quilt. It is also calming, therapeutic, and extremely addicting. 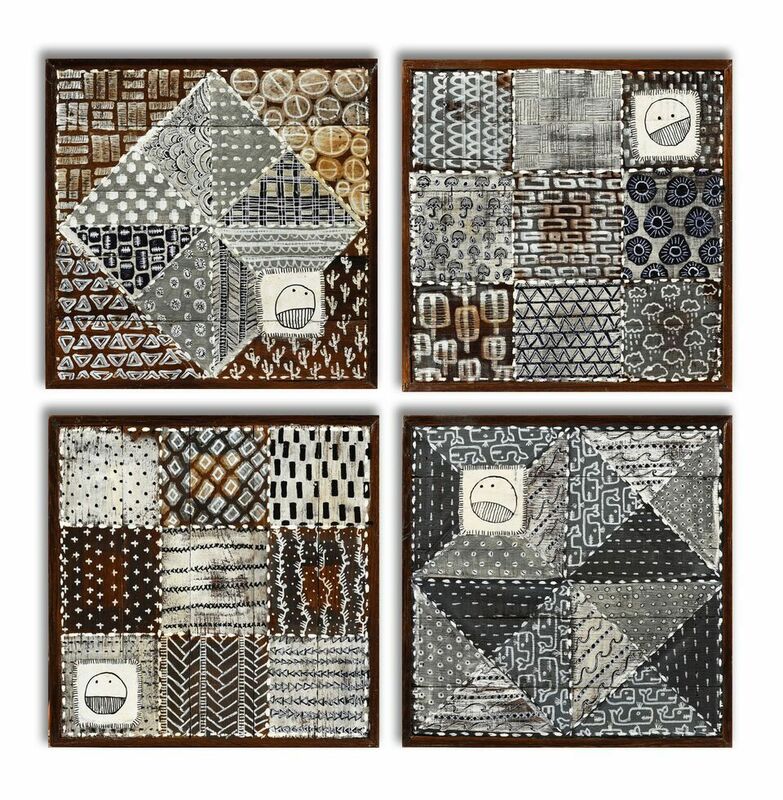 This is an ongoing series I continue to return to because, as those wacky quilters like to say in their inner circles, “Before Prozac there was quilting.” And no one wants to see me come unraveled.